Just as God saw the plight of the Israelites in Egypt and heard their cries for help, he still sees and hears today. But now, he not only hears because he is omnipotent; he hears because of the intercession of his Son and our Savior, Jesus. Jesus has been here. Jesus has faced the specter of death and the pain of torture and ridicule. Jesus means God not only hears our cries for help; he also feels the agony with us. That is why he came. He is our assurance that God feels, cares, acts, and ultimately saves. 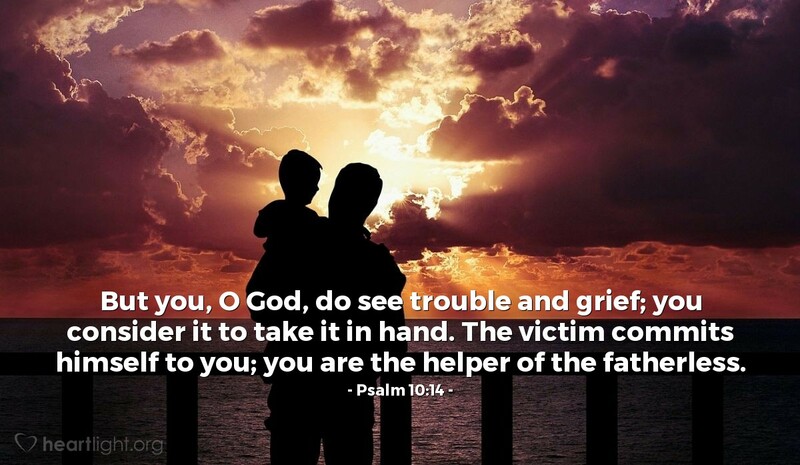 God, Father and Savior, please be with those who are bearing the incredible weight of agony and pain. Some of these I know and pray for personally. Others I do not know, but they still need your comfort, strength, and grace to sustain them in their days of agony and grief. Please bless them with clear evidence of your care. In Jesus' name I pray. Amen.